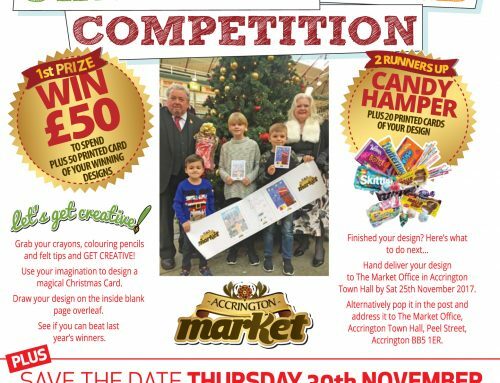 There’s so much going on in Accrington this festive season that the town’s Christmas events schedule is bursting like Santa’s present-filled sack! 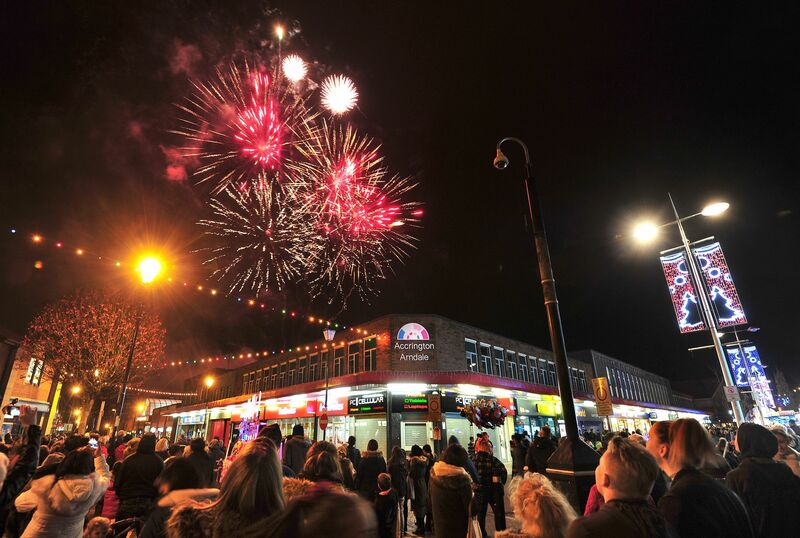 The town will welcome the season of goodwill with its Christmas lights switch-on event on Thursday 24 November, with live music, fireworks and a Christmas craft market. The packed programme of free family entertainment starts at 6pm, with former Britain’s Got Talent and X Factor stars the headliners in 2BR’s live stage show. Local songstress Ella Shaw from Langho, who shone in the 2015 Britain’s Got Talent shows, will be performing live on stage. She’ll be joined by crooner Wayne Woodward who made the finals of this year’sBritain’s Got Talent, plus The X Factor auditionee Jamie Hutchinson. 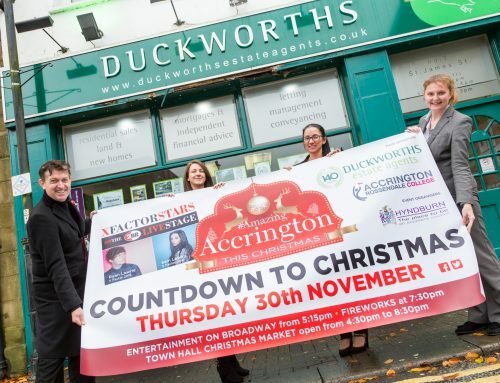 The Accrington Christmas lights switch-on event is sponsored by Duckworths estate agents. Their shop in St James’ Street will be open all evening offering a taste of Christmas with mince pies and warming mulled wine, plus hot chocolate too. There’s also the chance to win a Christmas hamper by calling into Duckworths’ shop on the night – it’s open until 8pm. Accrington will be all aglow from 7.30pm when three year old Charlie Procter will push the plunger to turn on the town’s Christmas lights. Charlie, from Church, has spent most of 2016 in hospital as he has battled stage four liver cancer. His parents Amber and Ben are now focusing on making positive memories with their little boy and having the honour of switching on Accrington’s Christmas lights is sure to light up the little one’s face, as is the fabulous firework display that will follow at 7.40pm. Shops within the Arndale Centre will stay open during the evening of Thursday 24 November. Plus, from 4.30pm The Ballroom at Accrington Town Hall will play host to a free Christmas craft market – the perfect place to do some Christmas gift shopping! The stunning setting will be packed with independent crafters selling their unique wares from jewellery to homewares. Plus it’s the ideal place to warm up or shelter from the weather! 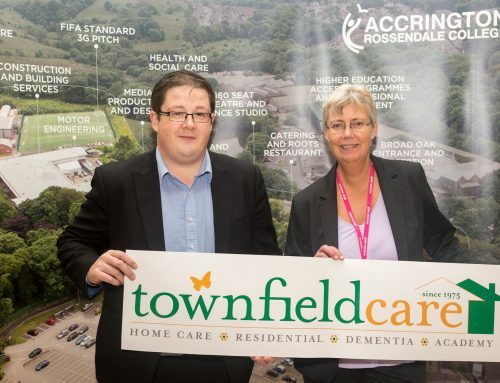 No festive event would be complete without Father Christmas, and Accrington Town Hall will also house a stunning Santa’s Grotto. Only 50 slots are available to visit Santa on the evening of Thursday 24 November and must be booked in advance by calling 01254 380293 or visiting www.accringtontownhall.co.uk. The cost per child is £8 and includes a gift and the chance to make some magical reindeer dust. Discounts are available for groups of children who wish to visit Santa together. 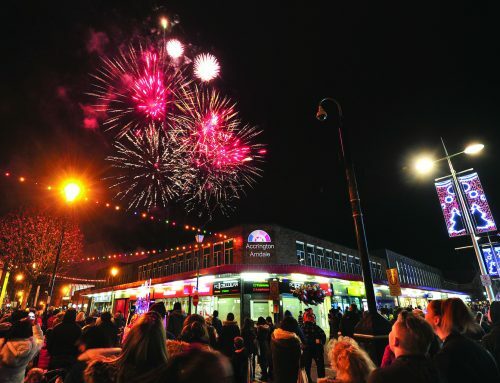 And if all that’s not enough, a festive fun fair along Broadway plus tasty street food will complete the evening for local families! 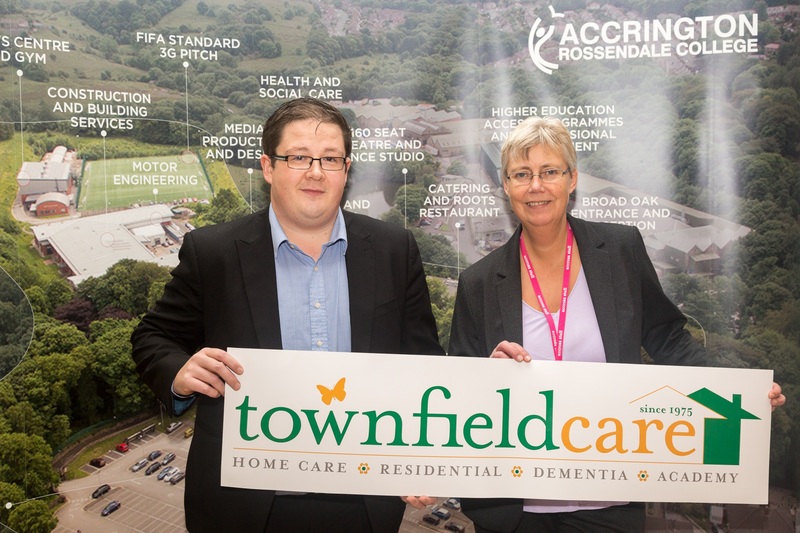 “We’re delighted to be sponsoring the town’s Christmas lights switch-on this year, as we get ready to mark our 140th birthday. 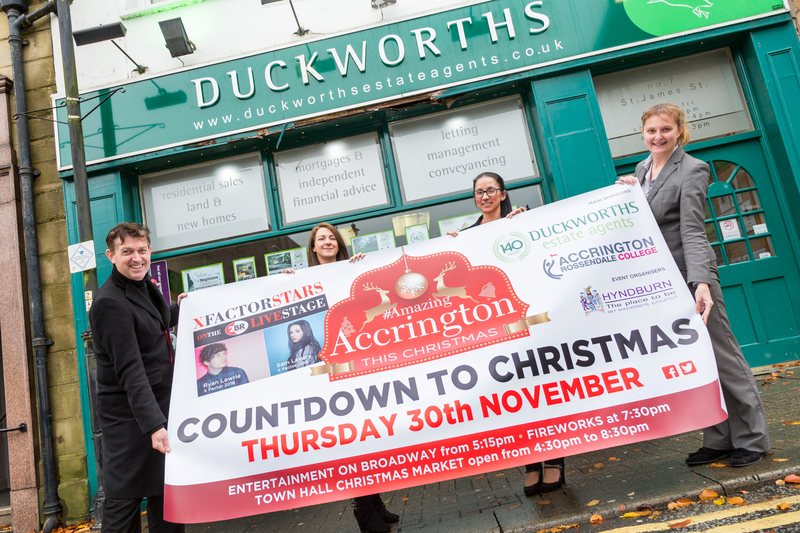 The event brings lots of local families into the heart of the town as Accrington gets ready for the festive season. 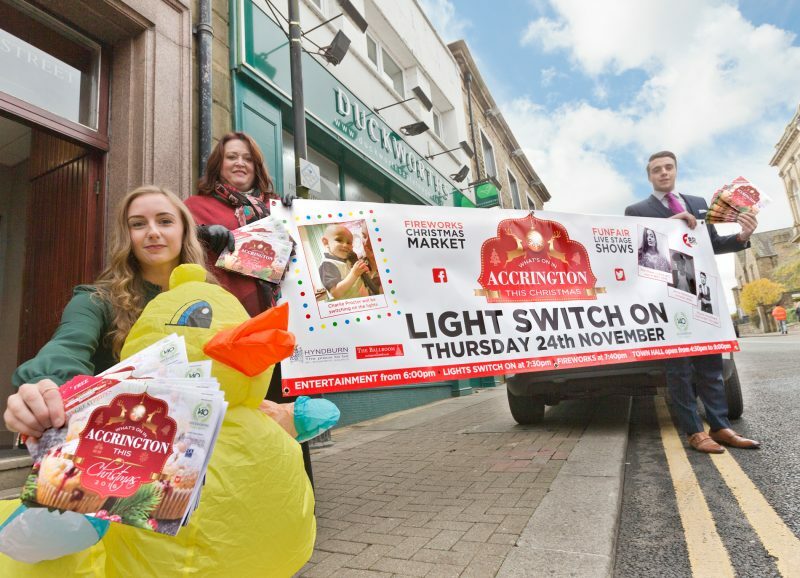 Accrington has lots more planned for the festive season beyond its Christmas lights switch-on. On Thursday 8 December Warner Street will travel back in time for its award-winning annual Dickensian Christmas Event. From 5pm the whole family can revel in delight at the musicians, street entertainers and fire eaters and have fun on the Victorian-style fairground rides. Many of those taking part will be dressed in Dickensian costume, adding to the atmosphere of the event. An outdoor craft market will be the place to go for unique gift ideas and traditional festive street food will be on offer including mulled wine and roast chestnuts. Accrington Pipe Band will provide a rousing soundtrack to the evening and lead a stunning candlelight procession to the outdoor carol service at St James’s church yard at 8.30pm. 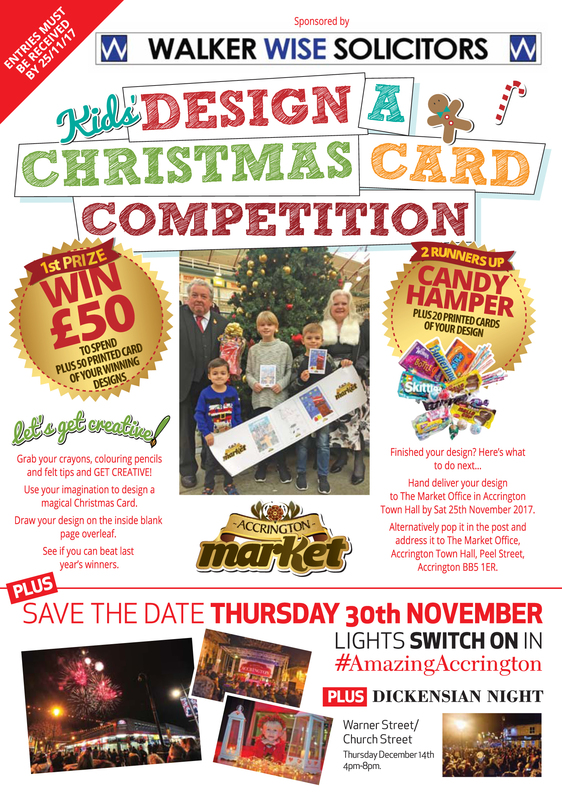 For full details of the Christmas lights switch-on and other key dates in Accrington town centre, look out for the ‘What’s On In Accrington This Christmas’ leaflet. 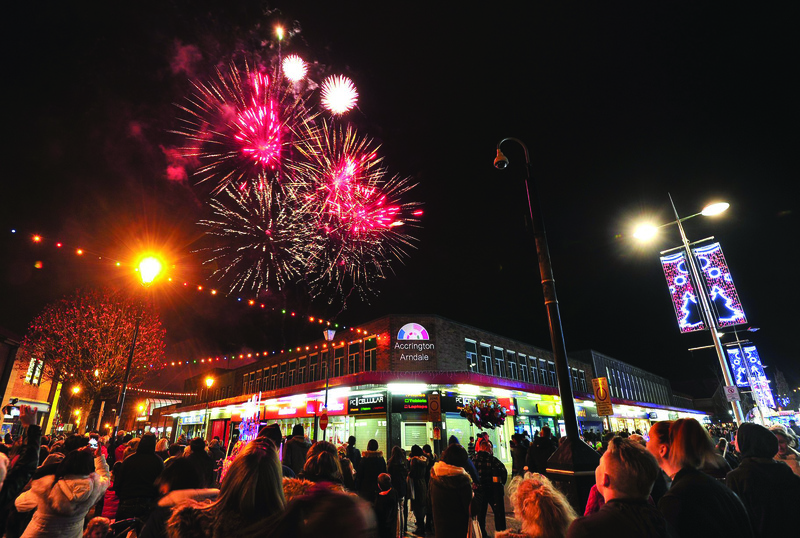 It’s being delivered to 35,000 homes across Hyndburn with full details of the 24 November event, as well as the dates of festive lights switch-on events in many other local towns.